All images by Lucas Zimmermann. Used under a Creative Commons license. 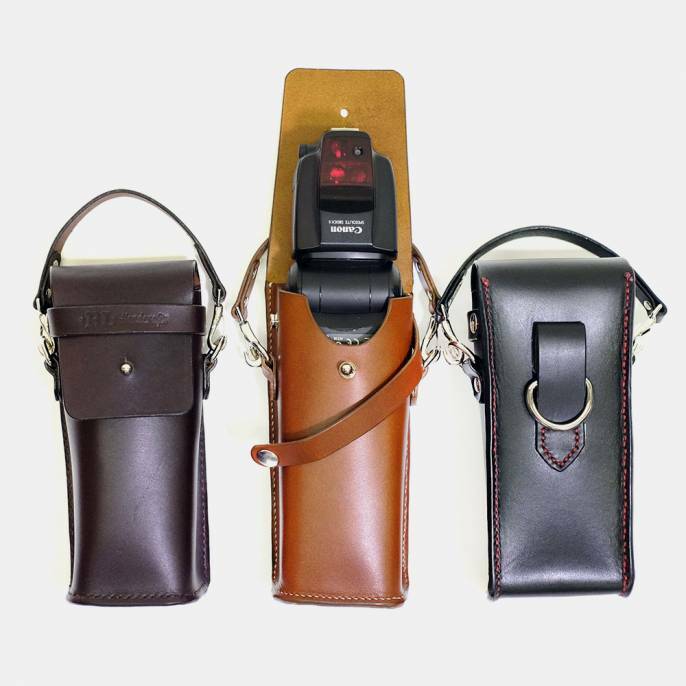 Great photography requires the need to go the extra mile, be patient, and usually the extra effort pays off well. 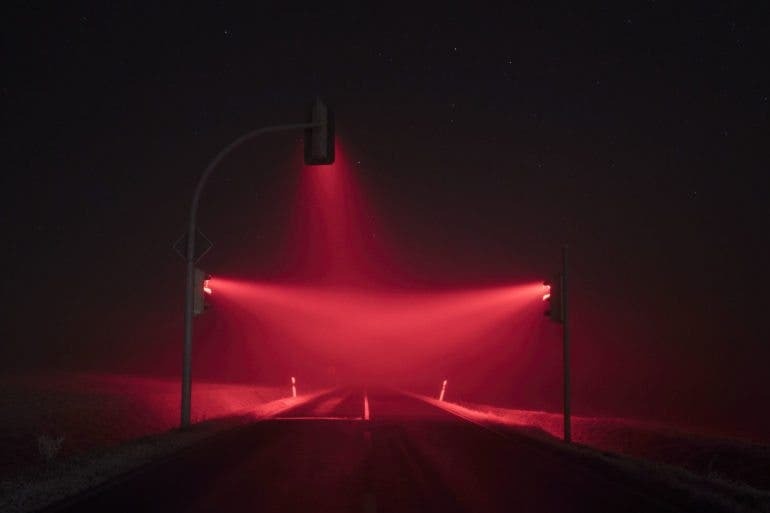 As a true testament to that, Lucas Zimmermann went out late at night to shoot light beams trailing off traffic lights in mist. Mist makes a beam of light visible via refraction and reflection on the suspended water droplets. 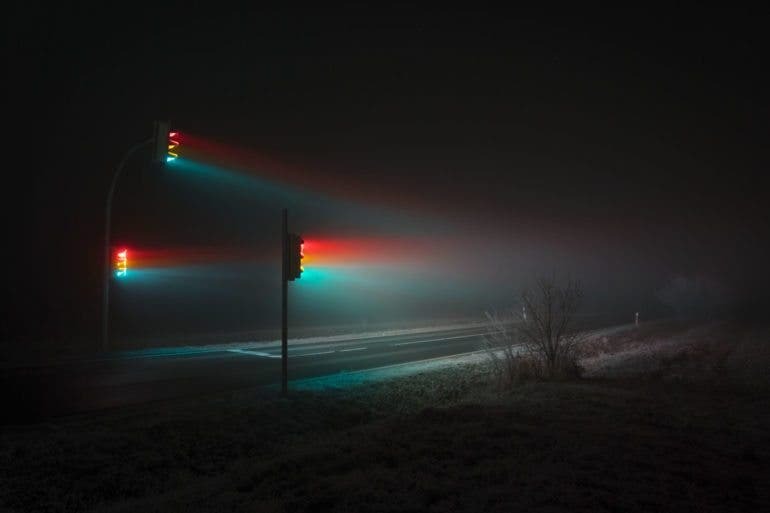 So in Lucas’ piece, the elongated beam of light through the mysterious mist adds dramatic trail to the traffic lights. Long exposure photography was used here and the camera was mounted on a tripod to enable the use of extremely slow shutter speed. 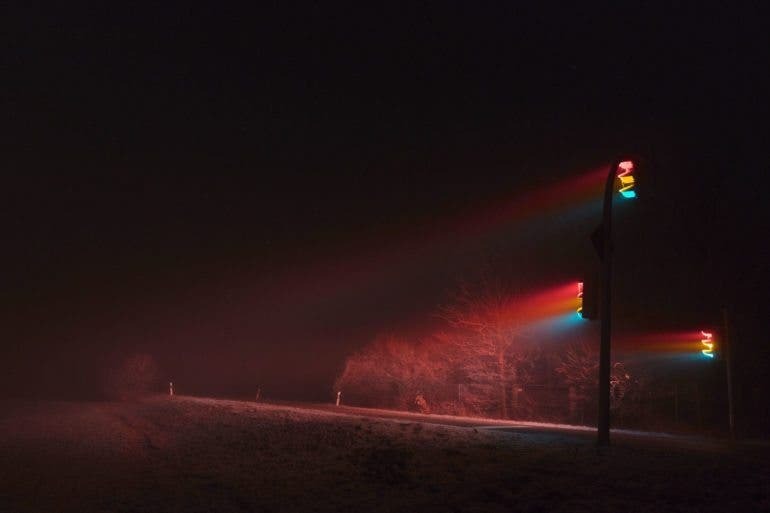 This allowed the red, yellow, and green lights to be captured within a single frame. Considering the average cycling time of the lights is about 120 seconds, the total duration of capturing a single image could have been close to 4 minutes. 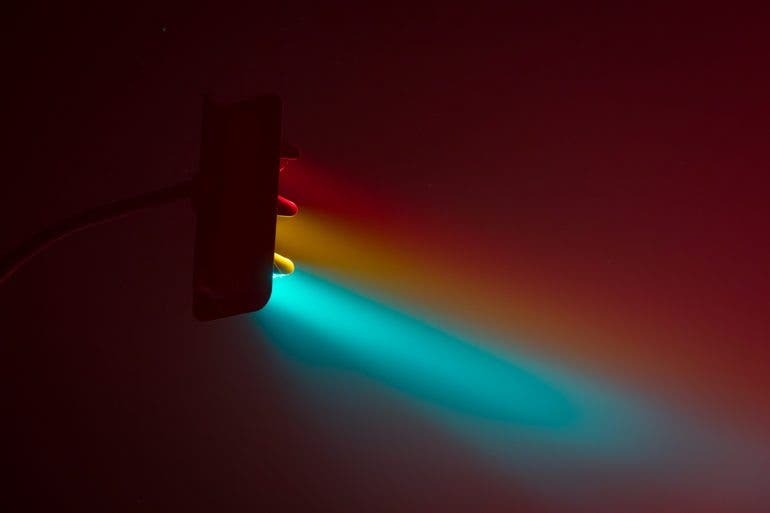 Lucas further explored different compositional options: shooting the traffic lights against the empty road, against the starry sky, shifting perspective to road level, or simply zooming into one specific traffic light head. 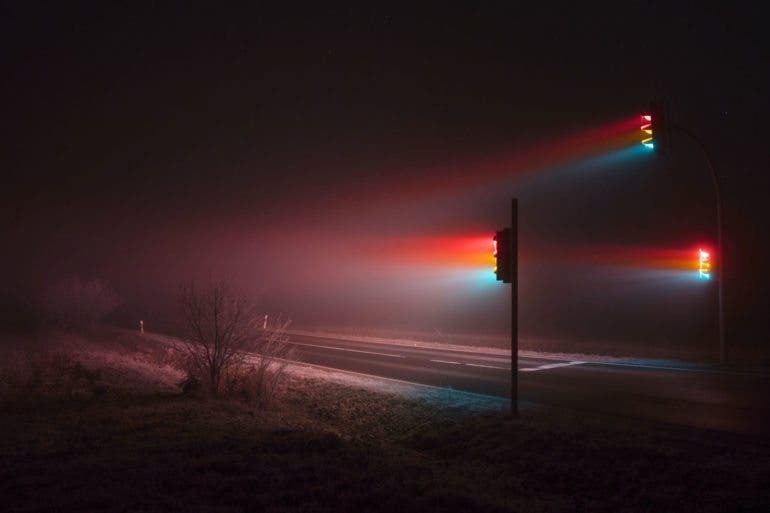 The resulting images are surreal and dreamy, with vibrant bold colors on the long light beams being casted and diffused in mysterious soft mist. The creative play of bright colors against dark background of the night is beautifully done. 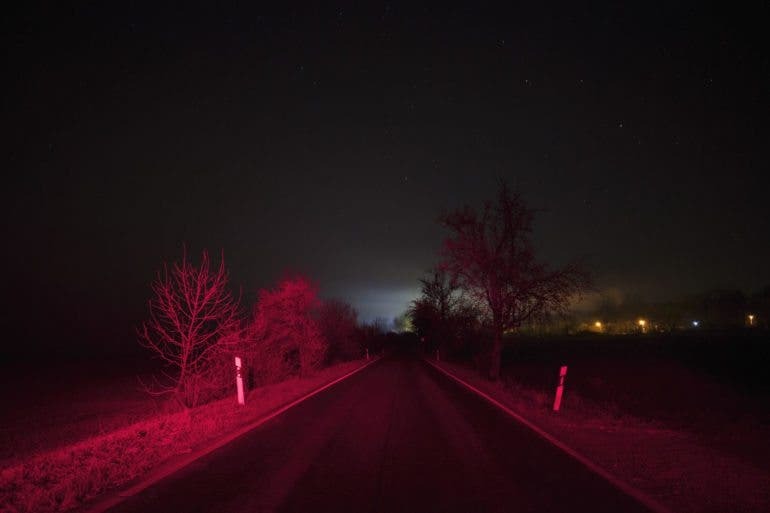 There is a twist in these photographs, as Lucas claims that he waited for two years before he processed the images he shot. 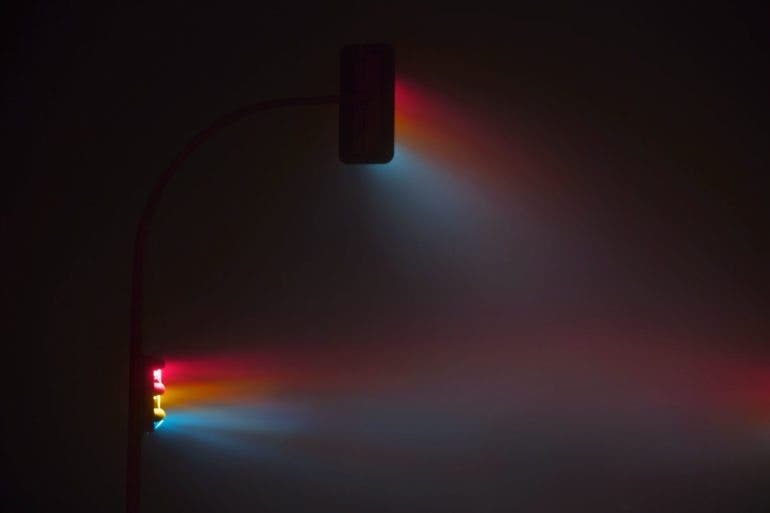 “I have been waiting for two long years to finally go out again and progress my traffic lights series. It was worth the wait.” said Lucas. As with any photography, patience is an important virtue, and letting the image marinate over time will ensure a better editing process, allowing the photographer’s perception, ideas, and vision of his craft to mature. 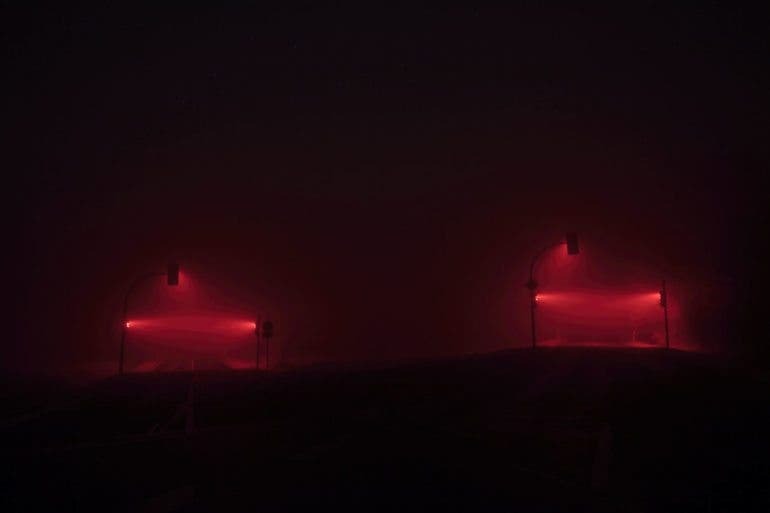 You may find out more about Lucas Zimmermann and his photography work on his website here.